Lieutenant Governor, Mary Taylor, visited Mentor Ridge! Lieutenant Governor Visits Mentor Ridge! 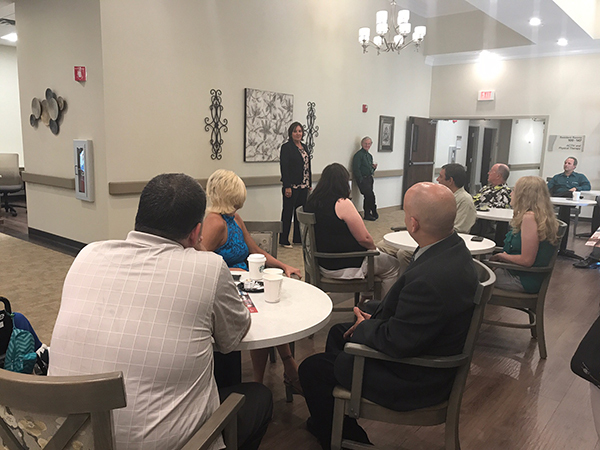 Lieutenant Governor Mary Taylor visited Mentor Ridge yesterday evening with local elected officials. Taylor spent time meeting with our local leaders to help understand challenges they are facing in their communities. 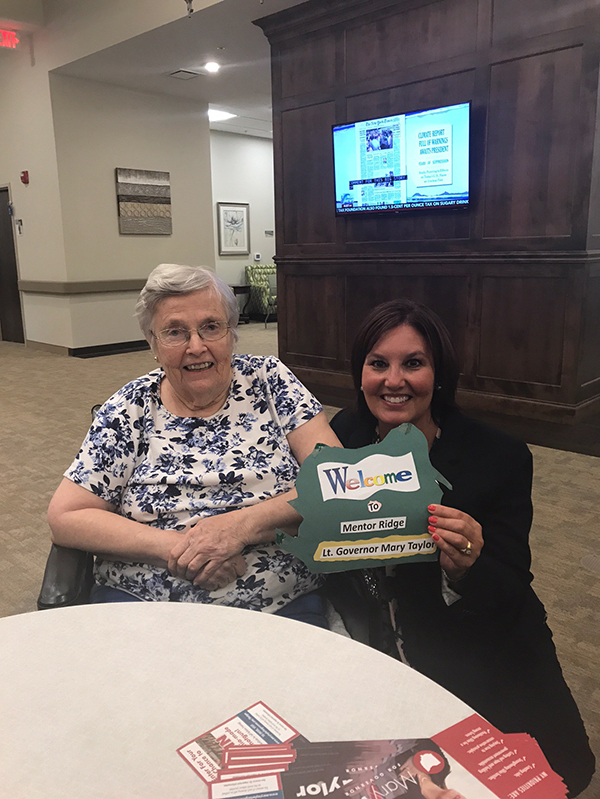 Mentor Ridge takes pride in being able to help our community and surrounding communities by offering a place where we can help solve the issues we face here locally and at a state level. The visit by Lt Gov Mary Taylor was one that accomplished these issues!